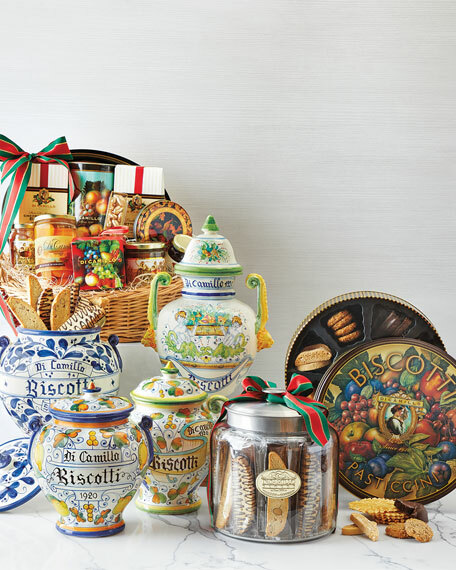 Handmade and hand-painted in the Tuscan village of Montelupo, world famous for their ceramic production. This royal blue jar, a compliment to any kitchen counter, is decorated with the Italian Ceramic pattern known as Arabesco. A flowing decoration based on rhythmic linear patterns of scrolling and interlacing foliage and tendrils. 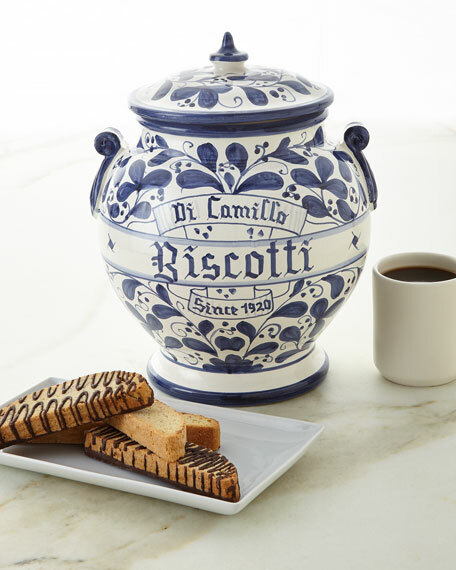 The generous size of this jar plays host to an equally generous assortment of individually wrapped biscotti, almond macaroons and chocolate-covered biscotti. This is an unforgettable gift and will hold a place of honor in any home. Allergen Information: Contains dairy and nuts.